These are the days of difficulties and the days of great deceit. These are a time that we call the days of great mischief. A great deceit is upon the earth and moving. No nation is going to be saved. Every nation is filled with that deceit and with that deception, like a tremendous magic show. What is happening is related to the world of light. Understanding the world of light and the reality of light, opens our heart to move towards that. Allah (aj) describes, Light obliterates darkness. All we need is light. That’s why a true knowledgeable person is like 1000 men. Now imagine the heart of an ‘Aref, of a lover of Sayyidena Muhammad (saws). That heart is like a 1000 men. If there is a dark time entering this earth and darkness is wishing to spread upon this earth. Then they most definitely don’t appreciate anyone become from the ‘Arefeen (Gnostics). Because they want the room to be as dark as possible, so they can do their magic. They want this earth like a room; we talk by example, whether we talk too big or small. They want the room to be dark, so that they can begin a magic show; because in darkness there can be all sort of deceit that can happen. But if all of sudden somebody comes in with a spot light, what happens? You immediately begin to uncover all their deceit. Then darkness by its nature doesn’t like the light. It wants nothing to do with the light. It also realizes that it cannot put out the light. But, what it can try to do is to kill. It kills and destroys the light. It extinguishes the heart and the light that is entering within the heart, through darkness. It tries to take the lives of people, to take away light and increase darkness, increase darkness, and increase darkness. Then it means this is a tremendous reality that Allah (aj) is dressing from Insaan e Kamil (Perfected Being). Allah (aj) says, everything perishes but my holy face. We know that Allah (aj) doesn’t have a face but that must be a deep reality. Everything in creation, from all of its paradises, everything will vanish and will cease to exist, except the holy face. Every reality is based on La ilaha ilAllah, Muhammadun Rasul Allah (saws). If you don’t know La ilaha ilAllah, and we can never know the reality of La ilaha ilAllah; that reality must be reflecting in Muhammadun Rasul Allah (saws). That’s why in all the Arabic calligraphy, you see Hu wa Hu. 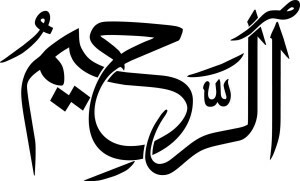 When they begin to mirror calligraphy; Allah (aj) is showing; if you want to know the reality of La ilaha ilAllah, enter the ocean of Muhammadun Rasul Allah (saws). It’s the reflection. Every reality, Allah will reflect to Muhammad Rasul Allah. These realities that we want, is dressing the light of prophet (saws). When we want to know the holy face; the holy face of Sayyidena Muhammad (saws) is the dress of that reality. All the prophets are in that dress. There must be a tremendous reality. Just in the understanding of what is happening with the eyes, because the eyes are the window of the soul. The ears are the door to the soul. It means the window of the soul and the reality of the soul must be in the secret of the eyes. The Right eye is sifate Rahman. When you say Bimillahir Rahmanir Raheem. The Right eye is from the reality of Ar Rahman الرحمن. The left eye is from the reality of Ar Raheem الرحيم. It means in Dunya is the sifate Rahman. 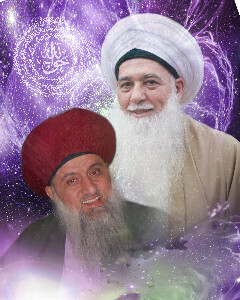 We have said in another teachings of Mawlana Shaykh Hisham’s teachings; (Read the Secretes of the Eyes – Part 1 – Light and Eternity). That Ha ح is from the ocean of Hayat. The Meem م has to do with the reality of Bahrul Muheet; the all encompassing ocean of Sayyidena Muhammad (saws). As a result it gives a Noon ن and gives a Noor (light). It means that Right Eye, that Allah is dressing the believers and dressing the reality in what He wants for all creation. He wants His attribute to be dressed upon your right eye. He wants to dress it from Noore Rahman. So that with the Right eye you look with a Noor. That noor (light) extinguishes darkness. That Noor enlightens because it is able to see the reality of everything that it looks at. The left Eye is the Bahrul Hayat (Ocean of ever-living) because sifat (attribute) of Ar Raheem الرحيم, means Ra Hay Meem رحى م. What Allah (aj) gives us Noor in dunya (material world), what is the result in Akherat (here after)? If Allah (aj) is dressing us from Noor (light) in dunya, it means what were we granted in Akherat is the Ocean of Hayat (ever-living) and eternal. If Allah (aj) gives you Noor (light), it means he is now granting you from the Ocean of Hay, al Hayat. It means for your soul to reach its eternity and your soul to be dressed from its eternity. That is why the ahlul Hayat are the people of Hay حى. These are the people of dhikrullah and the people who say Hay Hay. It describes in the sifat of Raheem رحيم Hay Meem حى م; which means Hay Muhammad, Hay Muhammad. It means the love of Sayyidena Muhammad (saws) is carrying the ocean of al Hayat (ever-living). The love of Sayyidena Muhammad (saws) is carrying the Noor (light). Every reality, its highest level is in the understanding of Muhammadan reality. You can never know La ilaha ilAllah. But the reflection of these two rivers is where Nabi Musa (Moses) (as) wanted to reach. He said “I want where the two rivers meet”. Not only from the Bimillahir Rahmanir Raheem and out but, ya rabbi (O my lord) I want from your realities where the two rivers meet. From the Qalam al Qudra (the pen of Power), Mawlana Shaykh Hisham says many times that the pen of Power was writing La ilaha ilAllah, Muhammadun Rasul Allah, before it was writing Bismillahir Rahmanir Raheem. That is what Nabi Musa (as) wanted from the realities. That reality has to do with the Left Eye. The left eye is under the sifat Ar Raheem الرحيم and the oceans of al Hayat (ever-living). Then they begin to inspire us that the Right Eye is Imam Hassan (as). 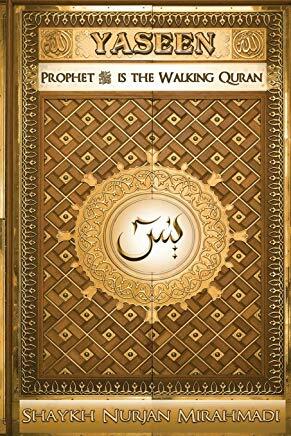 That the family of prophet (saws) are the ones carrying first the reality of Sayyidena Muhammad (saws). It is coming as an inheritance from Prophet (saws) to the family of Sayyidena Muhammad (saws). That he (saws) is granting him bi sifatir Rahman. It means to whom I have given hasana (goodness) in dunya (material world) and I gave hasana (goodness) in akhera (here after); it will save them from punishment. They are reciting from that reality. They know they are the owners of the paradise; they are owners, Sahibul Quran. It means everything of Holy Quran is in Surat Al Fatiha (1st chapter of Quran). All of Al Fatiha is in Bismillahir Rahmanir Raheem. All of that Allah (aj) is dressing in Bismillahir Rahmanir Raheem. Ar Rahman and Ar Raheem. It means by Loving the Ahlul Bayt and by understanding their reality, you will be dressed from that reality. They are the Ocean of al Hayat (ever-living) (Both Hassan حسن and Hussain حسين has the letter Ha ح of Hayat حيات in their names). They carry the Seen س and the secret of Sayyidena Muhammad (saws) (referring to the letter Seen س in the names of imam Hassan حسن and Hussain حسين). That is their inheritance. Ya Al Rahman bi Haqq Imam Hassan. Ya Rabbi by the reality of Imam Hassan (as), grant me from sifat e Rahman. They are carrying that reality. They begin to dress us from their Noor (light) (From the letter Noon ن in the names of imam Hassan حسن and Hussain حسين). That is why Allah (aj) described to have Hasana in Dunya and Hasana in Akherat and save us from difficulty. What is that Hasana حَسَنَةً? The Hasana that they are describing are not just any good deeds but, accompany them, love them, be with them, eat with them, pray with them, have respect for them. That’s why the celebration of Mawlidun Nabi (saws), respecting all Ahlul bayt, respecting all Ashabin Nabi (saws). Living a life of trying to be of service to prophet (saws) and to the Ahlul bayt Nabi (saws) (family of prophet (saws), respecting all Ashabin Nabi (saws) (companion of prophet (saws) and Awliya Allah (saints). All of this is to be dressed from Hasana of dunya (material world). Allah is describes and says if you are eating with them in dunya, praying with them in dunya, traveling and accompanying them in dunya; what type of hasana I have in store for you in Akhera. If this is your Dunya, imagine where you are eating in Akhera. Because everything is a reflection. If I am accompanying crazy people in dunya and say no my akhera will be good. How is that possible? It means everything is a reflection. If we are eating in the circle of Dhikr, and we are praying in the circle of Dhikr, and we are being visited by the big family of Sayyidena Muhammad (saws). When we visit, we visit the family of Sayyidena Muhammad (saws) and we learn and read and have been thought by the big family members of Sayyidena Muhammad (saws). What Allah (aj) is then describing? What would be your paradise? It means you will be with that reality in paradise. Fasali li Rabbika wanhar. It means pray onto your lord and live a life of sacrifice. Sacrifice yourself, sacrifice your property, and sacrifice your character. Not to sacrifice other people, like Shaitan (satan) is doing. He (Satan) is doing everything the opposite of that reality; sacrificing every other person but himself. What Ahlul bayt taught us? No, you sacrifice yourself, you put yourself first on the block. You first judge yourself; you look at all your bad characteristics and say this all has to go. Nobody else has to go; nobody else is bad, I am the bad one. I have to sacrifice all my bad characters. I have to sacrifice all my property. I have to sacrifice everything from me. Fasali li rabbika wanhar. Sifate Ar Raheem dresses the Sayyid Shuhada (Imam Hussain). The attributes dress their character, who they are. So the hasana and beauty was Imam Hassan (as). Sifate Rahaman and the majestic and beatific oceans dress the eye. Sifate Raheem رحيم is your paradise reality. Paradises are not an easy entrance. In many books Allah describes, my paradise is not easy to enter. You must sacrifice and you must struggle in the way of Allah (aj). You make discipline upon yourself to enter into those realities. The life of Imam Hussain (as) is then the symbol of that reality. He sacrificed himself and 72 of his family members. 72 is a tremendous key and tremendous reality. Because of that reality, Allah (aj) is dressing from sifate Raheem. These are ancient names. Allah (aj) doesn’t pick and choose as He goes. 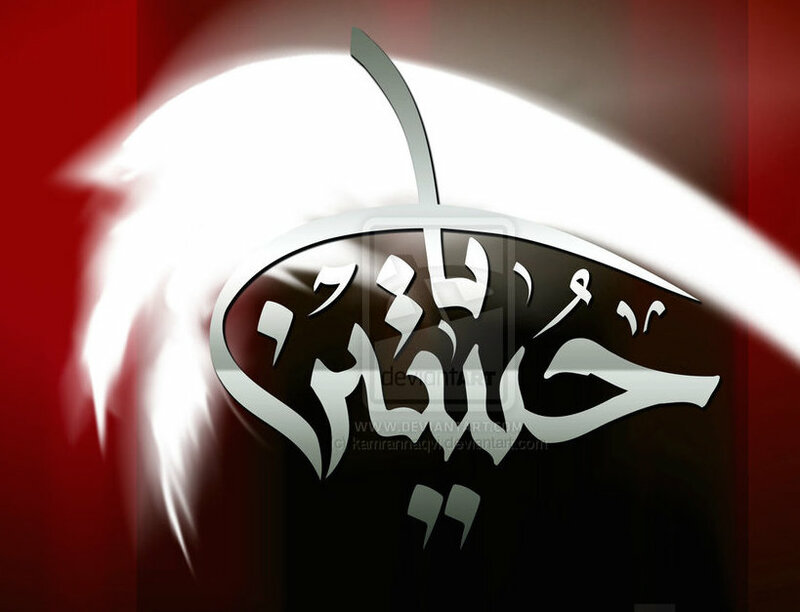 He knows that ancient sifat (attribute) and that ancient name will dress a very ancient reality known as Hussain. He will be from the ocean of Hayat (from Ha ح of Hussain حسين), as the grandchildren of Prophet (saws). He will carry the Seen س and the secret of Sayyidena Muhammad (saws). Noorul Anwar wa Seeratul Asrar. They are all the carriers of the light (from the Noon ن in their names) and reality of that secret. But, Imam Hussain (as) carries the Ya ي of Ya’qeen يعقين and certainty (as his name Hussain حسين has aي ). What we are asking for is the Ya’qeen and certainty. With that ya’qeen and that certainty every reality opens. It means the Hasana of good character, opens the Noor (light). When Allah (aj) begins to dress you with the Noor (light), He wants to dress you from the realities of al Hayat (ever-living). The people of Hayat, the ahlul dhikr, are those who make the dhikr of Hay Hay Hay. Their whole reality is that they are swimming in that ocean of Hayat. Their reality is based on that sacrifice. Imam Sayyid Shuhada (Hussain (as)) begins to come to them and say, that you sacrifice all your character, sacrifice all these things; so that you become a big Mujahid, the one who struggles in Allah’s way. Not hurting people but, coming against yourself, so that you can begin to witness these realities. With that Noor (from the Noon ن of Hussain حسين) is Noor of Ya’qeen. It’s a different light. That Noor (Noon ن) of Rahman is a Noor (light). This Noor of Raheem (from the letter Noon ن of Hassain`s name حسين), is from the Ya’qeen and certainty. It means the Shuhada is a different level. It means the Saleheen, Shuhada, Sediqeen, wa Nabiyeen; these are the oceans of reality that Imam Hussain (as) wants to dress us and make the left eye to be form Bahrul Hayat (ocean of ever-living). That if I open your two eyes; from your Right eye will begin to emanate Rahman and from your Left Eye will become from the ocean of Hayat. You will become a balanced creation in this dunya. That’s why the face of Awliya Allah (saints) are so powerful. They are dressed with 7 holy attributes that are from divine essences. This light and this reality, Imam Hussain (as) is teaching that, if I open that Ya’qeen (from the Yaي of Hussain’s حسين name), then the reality of that Seen س will begins to open. The Seen س has the three spaces; ‘Ilm Ya’qeen. He is granting Ya’qeen. What kind of Ya’qeen do you want? I am going to make the knowledge that you know because these are paradise realities. It’s not just sifat e Rahman for dunya. The Sifate Raheem means your paradise reality begins to dress you, so you will have Ya’qeen and certainty; ‘lm Ya’qeen (knowledge of certainty), ‘aynul Ya’qeen (vision of certainty), Haqul Ya’qeen (truth of certainty). These three Ya’qeens begin to dress the soul and dress the reality and begin to perfect the Noor and the Hayat. These are the eyes of Prophet (saws). Every reality is a reality of Sayyidena Muhammad (saws). On moving towards the ma’refa of Prophet (saws), it is important to know that the reality of Prophet (saws) is dressed from Allah (aj). You will never know Allah (aj) but, what you will know is the dress of Prophet (saws). Prophet (saws) begins to teach you that my right eye is the reality of Imam Hassan (as) and is dressed from sifat Rahman. My left eye is Imam Hussain (as) and dressed from the sifat Raheem. Through which I look at Rahmanir Raheem; I look through that reality and I dress everything from that reality. 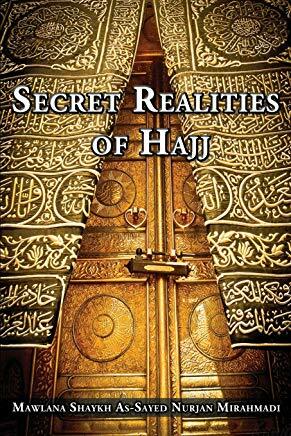 Every reality is in the hands of that reality of these Ahlul Bayte Nabi (saws). That is the reality. What is in dunya now? Shaytan, the Anti Christ comes. You have seen their signs everywhere? Why is he making his sign like that (one eye)? Because he is teaching that I don’t have anything from Rahman, because I am not working for Rahman, he is working for Shaytan (satan). And that we don’t have light. Allah (aj) made us devoid of light. Because we don’t follow Allah, we have no light. We are those who bring darkness. 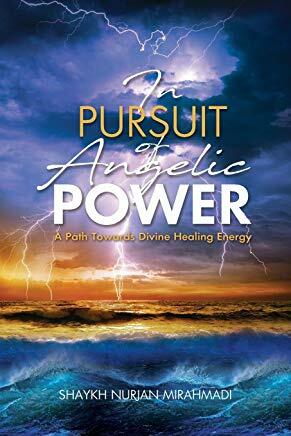 Either we are going to obliterate you to take away your light or we are going to send darkness into your heart to take away your light. Everything from their signs is to take away your Rahman, take away your Rahman, take away Noor (light), take away Noor. Until what happens? No Noor is left. Then if there is no light, there is no Hayat and no ocean of reality. Then what they have (Shaykh make gesture of the triangle on his left eye). They have just the hayat of dunya. Hayat is the ocean of ever-living. If you have light of heaven, then you come to the dhikr. They begin to give you the ever-living of the eternity of the soul. They make your soul ever-living. Let your soul to swim in the ocean of eternity, so that it will be eternal. What does Anti-Messiah comes, the person of deceit comes and says; No, there is no light and you live for today and enjoy everything. Because there is no tomorrow, we have no access to it. So just hayat dunya. Everything is about live your life today to the fullest. This is their term. Live to the fullest. Full of what? To fill your belly with dunya (material world)? Why he wants to fill you with dunya? So that your heart becomes darker, and darker, and darker until you detach from Rahman. Then he has covered your eye. The one of deceit is coming with a smashed right eye, bulging. As a sign from Allah (aj) that he is not inheriting from this reality and he is not inheriting from Rahman. He has no Noor whatsoever. His whole purpose is to take Noor from dunya. By Music, by TV, by internet, by every means possible take away Noor and take away all of these blessings. Everything from Allah (aj) is to bestow noor upon us. Allah (aj) ask from us, do good deeds and I am going to shower you with mercy. Shaytan comes and says no do bad things so I can throw burdens of people upon you. You will be crashed with burdens and sins, until you have absolutely no noor (light). What prophet (saws) described somebody who backbiting and doing bad things? That he is bankrupt. Why? Because there is absolutely no light in their account. If there is no light in the account, it means the right eye is beginning to shut. They see the world, no longer balanced. Their judgement is not a balanced judgement because there is no noor (light). They are not able to see with noor (light). The choices that they are making are to make everything to be darkened, to be darkened, until there is no more light and they begin to choose only hayat dunya (life of material world). Let me go out to the casino, let me go out play, and do all these things that make Allah (aj) to be angry, so that I move farther and farther from the light. That is the role of Shaytan. It means from the highest reality of Rahman, and the dress upon Prophet (saws), the reality of Ahlul Bayt, the love of Imam Hassan (as) and Imam Hussain (as), “fed dunya Hasana wa fil akhera hasana wa qina adhab an Naar.” To keep that reality is the highest. To know what is happening in this dunya now is that he (Satan) wants only to extinguish this reality. That’s why the right eye. He doesn’t want sifat Rahman, nor is he working for Rahman. Everything you see on TV and on internet; any religious practice that is based on darkness, based on horrific acts, based on deceit and deception, there is no Noor in it. You can’t put people in transient and kill them. There is no noor in that action. You cannot even sacrifice a goat, with the goat seeing it; less other goats watching what you are doing. It’s impossible. There is no noor in that action. It means every action that is happening, when you look at that action, you say there is no light in that action. Then who is doing that? The Anti-messiah. We say Anti-messiah because it’s not only for Christians. His biggest followers will be the whole world. He is Dajal, the man of deceit; his deception will be upon everyone on earth, every race, every religion, every creed. All we do is look, with tafakkur and contemplation. People of dhikr, people of contemplation, people of good deeds, they look with Noorur Rahman through the right eye; they look through the ocean of Hayat through the left eye, and they can see it balanced. They say this action is not based on noor. What they are doing has no light. If it has no light, its purpose then is exact opposite. There is no grey, there is no middle ground. When we listen to something we are choosing. Are you choosing something that is bringing light upon you or are you choosing something that is taking your light? You cannot play and keep your life always on the middle; I do all these things. They tell us keep a hisab (account) and a balance of yourself. What you are doing, is it bringing light to your eyes or it is pulling light from your eyes? Most likely you will have headaches. Many Shaykhs have tremendous amount of headache. Because light is coming out is pulling all the sins of people coming back. Wa qul jaa alHaqu wa zahaqal batil. It means the positive energy that comes out; it is hit by every type of negativity and comes back to them. It causes tremendous difficulty and sickness. But for our lives and our hisab (account), they teach us. That what I am doing, is that going to increase my light or is it Satanic influence and deception to take away my light. If he takes away enough light, I feel myself no longer guided. And I begin to make choices that don’t bring hayat (ever-living) and bring only the desire of material world and no longer the desire from my soul. We pray that Allah (aj) protect us. Allah (aj) guides us and grants us light within our eyes from Sifat Rahman. wa ba sir suratil Fatiha. Ya Al Rahman bi Haqqi Imam Hassan [as], Ya al Raheem bi Haqqi Imam Hussain [as]. 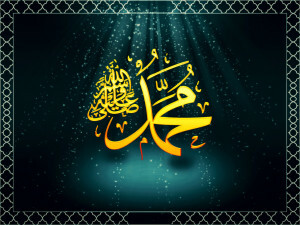 Bi hurmati Muhammad ul Mustafa wa bi sir surat al Fatiha. 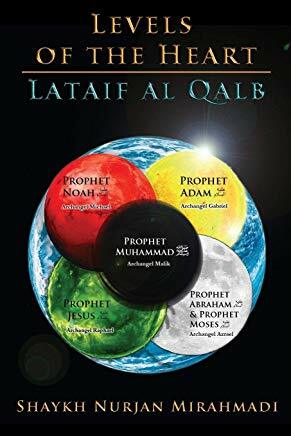 Secret of the Eyes – Part 1 – Light and Eternity – Balanced Vision Vs. Dajjal System – Al Noor, Al Hay, Why is the Man of Deception an one eyed Demon?